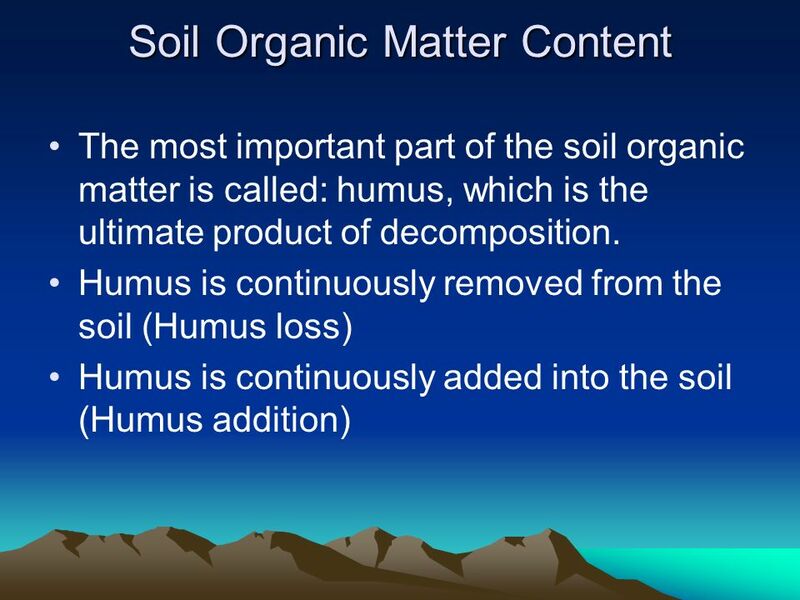 Soil contains nutrient in two forms: Free (Available immediately) Fixed (Before mineralization) Plant mainly acquires nutrients provided by micro-organisms, which decompose the organic matter Free and fixed nutrient content is in balance inside the soil. 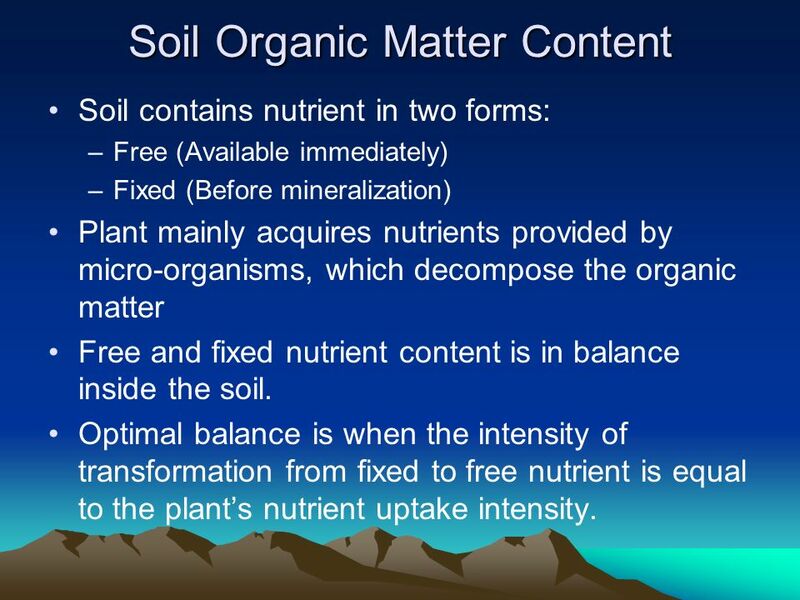 Optimal balance is when the intensity of transformation from fixed to free nutrient is equal to the plant’s nutrient uptake intensity. 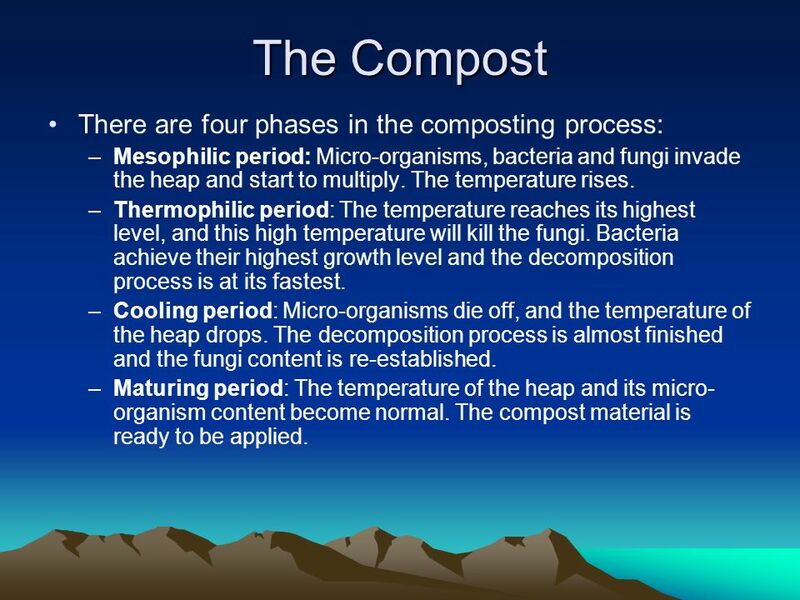 Mesophilic period: Micro-organisms, bacteria and fungi invade the heap and start to multiply. The temperature rises. Thermophilic period: The temperature reaches its highest level, and this high temperature will kill the fungi. Bacteria achieve their highest growth level and the decomposition process is at its fastest. Cooling period: Micro-organisms die off, and the temperature of the heap drops. The decomposition process is almost finished and the fungi content is re-established. Maturing period: The temperature of the heap and its micro-organism content become normal. The compost material is ready to be applied. 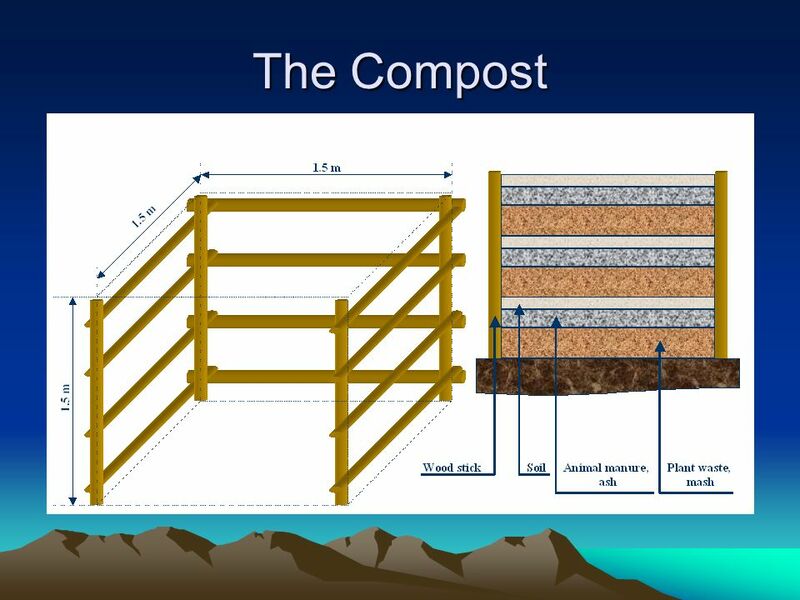 Download ppt "Organic Matter and Compost"
Chapter 4 module 3 Treatment of faeces by composting How should urine and faeces be treated for safe handling and reuse in crop cultivation? How can organic. Kwantlen Farm School 2012 Chris Thoreau. 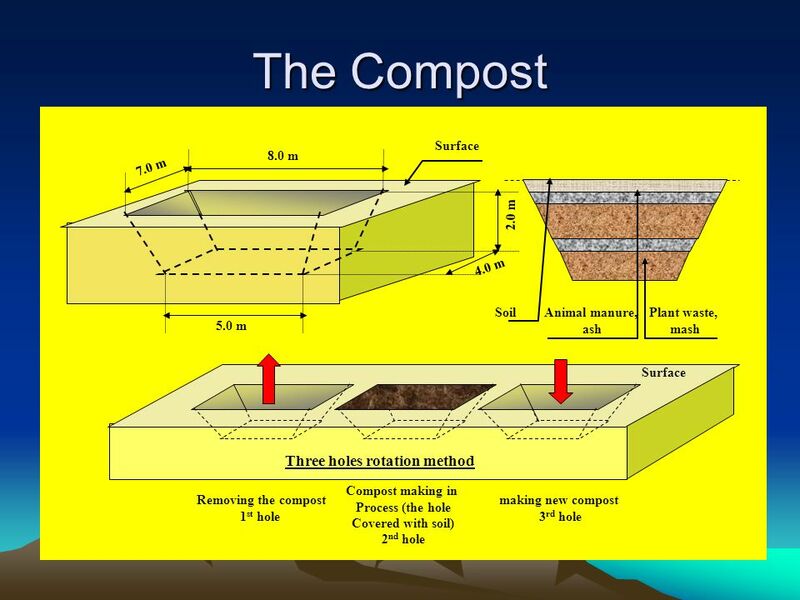 What is Composting? 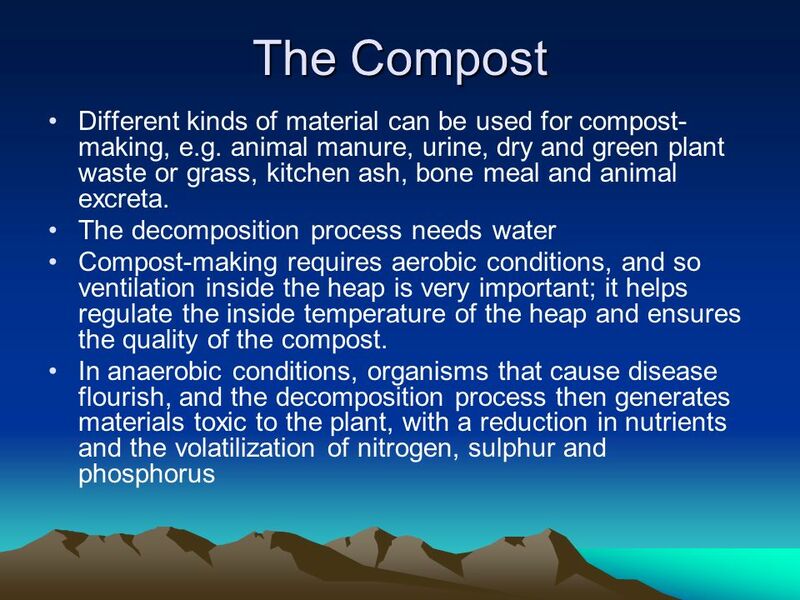 The rapid biological decomposition of organic matter Microorganisms turning organic matter. Packed with Nutrients Soil, Food, and Health. 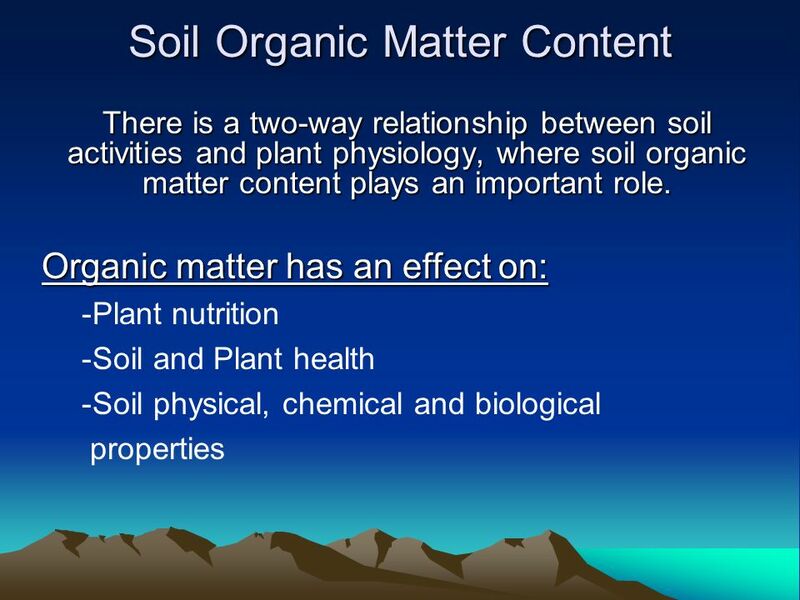 SOIL is the ultimate source of nutrients our bodies need Nutrients come from plants growing in soil or from. 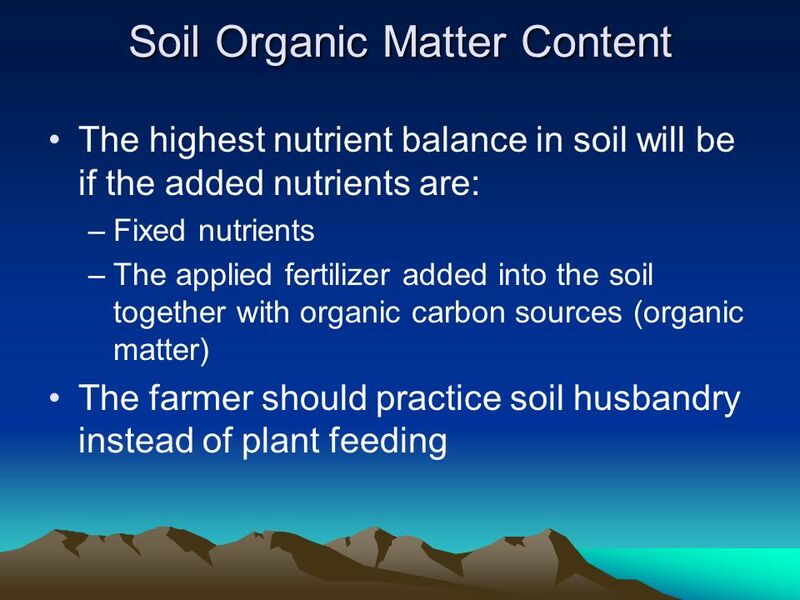 Soils Need Nutrients Too. 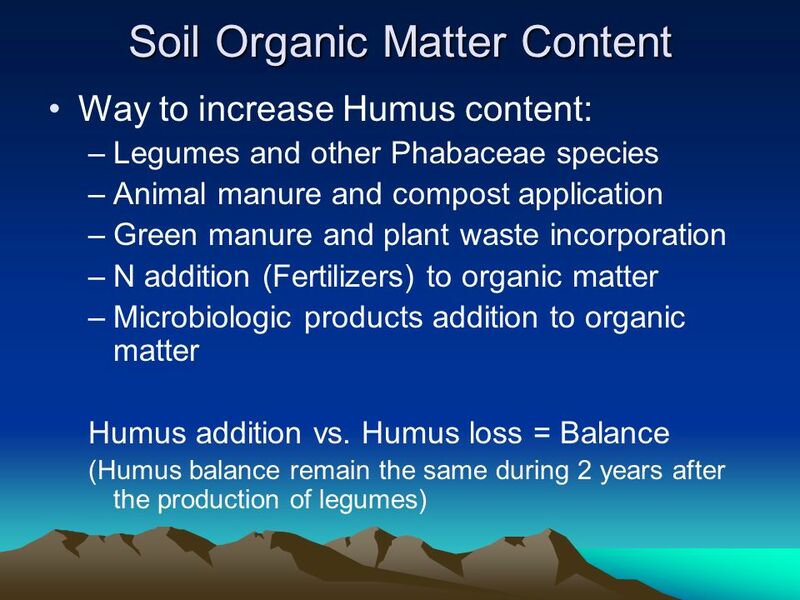 KEEPING SOILS FIT Most soils have a large supply of nutrients. 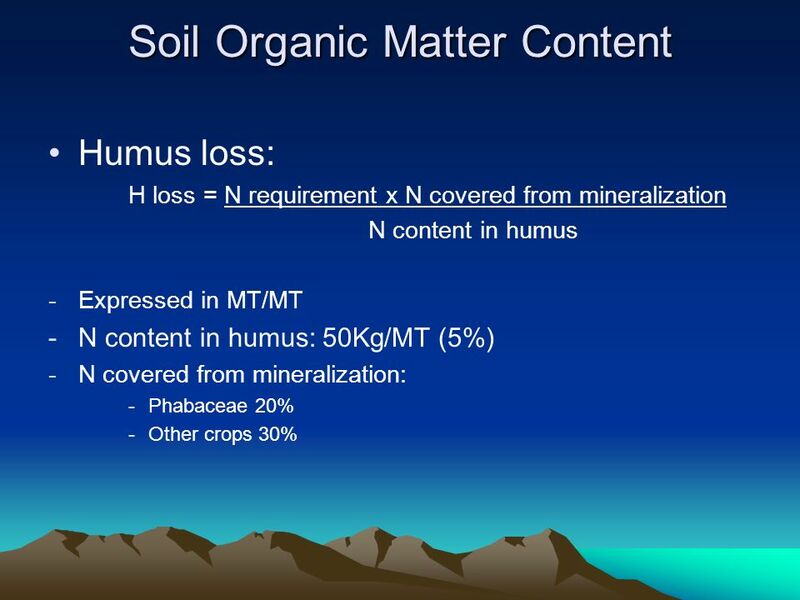 But when soils are continually used for growing food, nutrients. Biology 12. 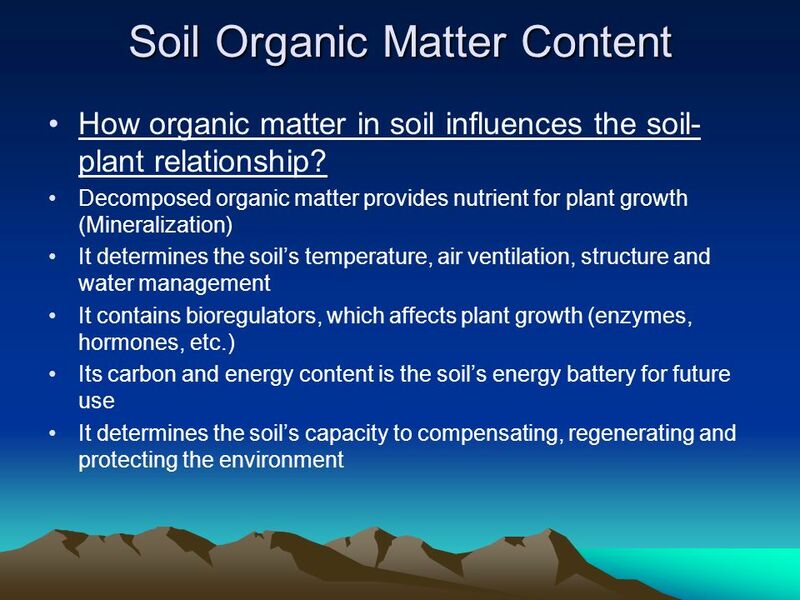 Matter and energy In most natural ecosystems, matter cycles and is re-used Energy flows and is lost At each trophic level most of the energy. 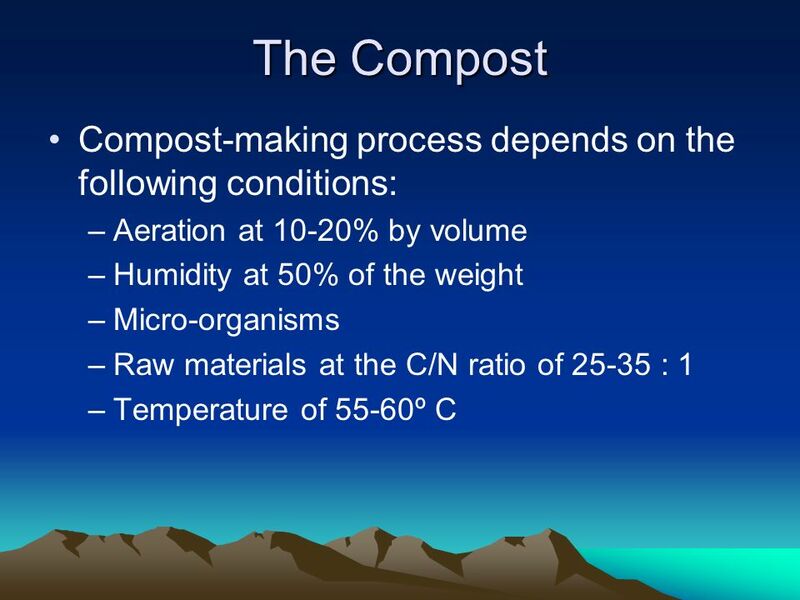 Composting What is composting? 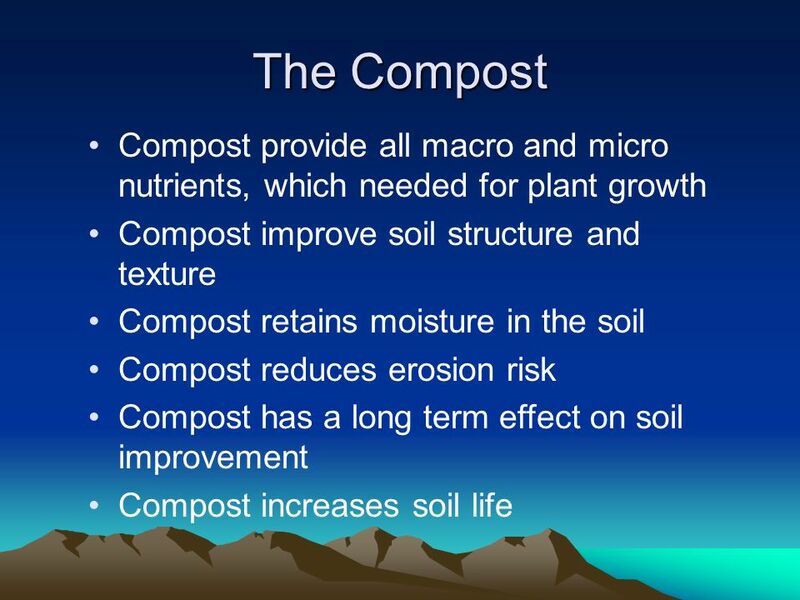 Why should you compost? 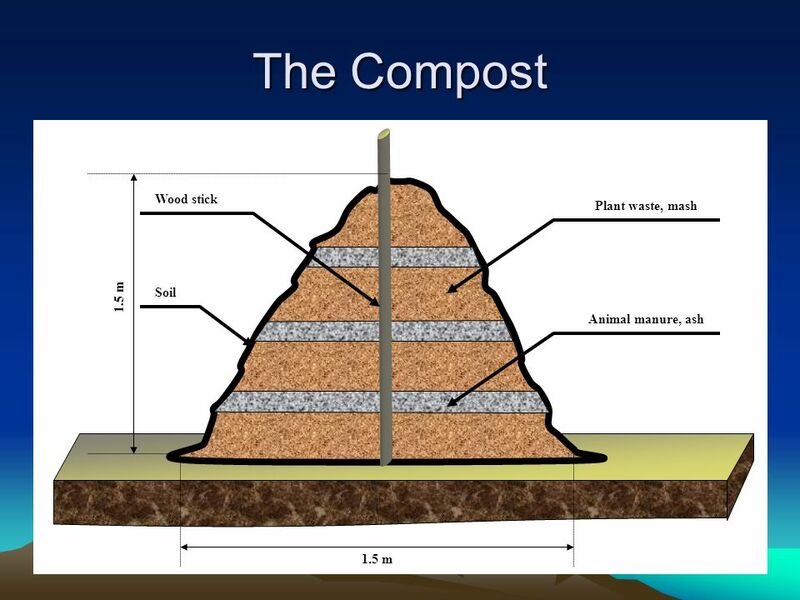 How do you compost? Encouraging change at home. 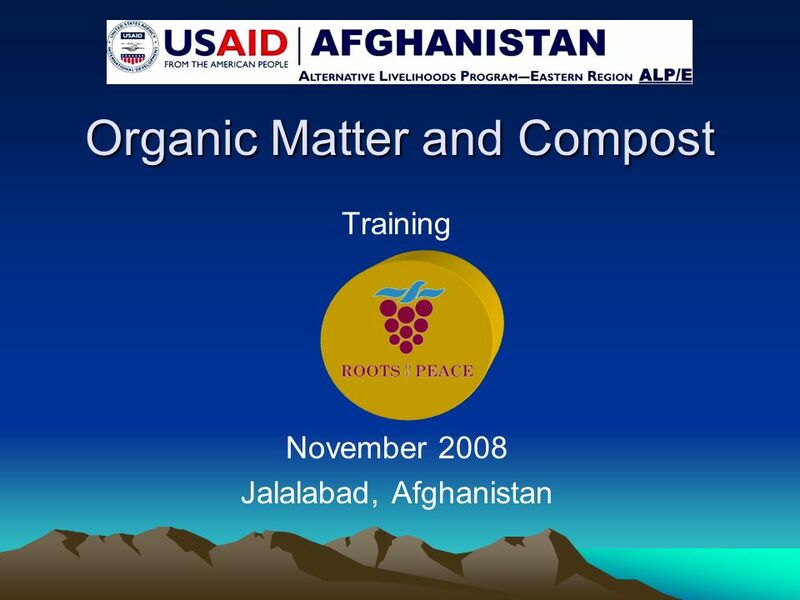 Cover Crops and Biofuels Implications for Soil Characteristics and Plant Development Deanna Boardman October 21, 2009. 21 Acres Soil Assessment Team: Martin Herrin, Melody Hearten-Johnson, and Aileen Ponio Water and Sustainability BIS 392. 1 of 46© Boardworks Ltd of 46© Boardworks Ltd 2007 Throughout an ecosystem, energy is constantly lost by wasted heat. 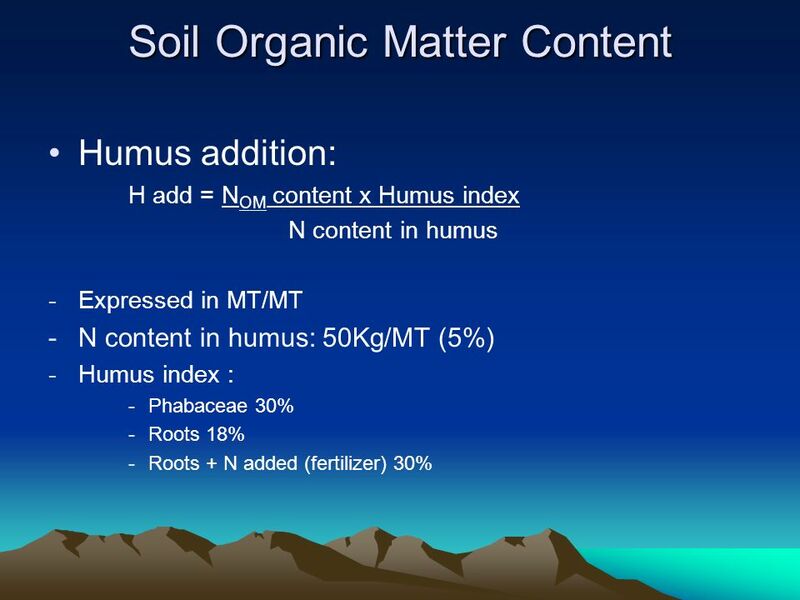 In contrast, nutrients are. 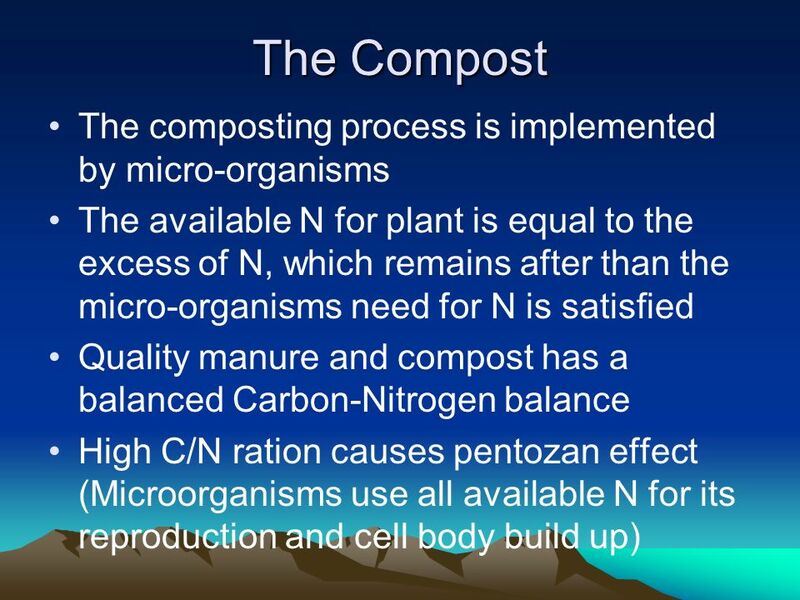 What is Compost? 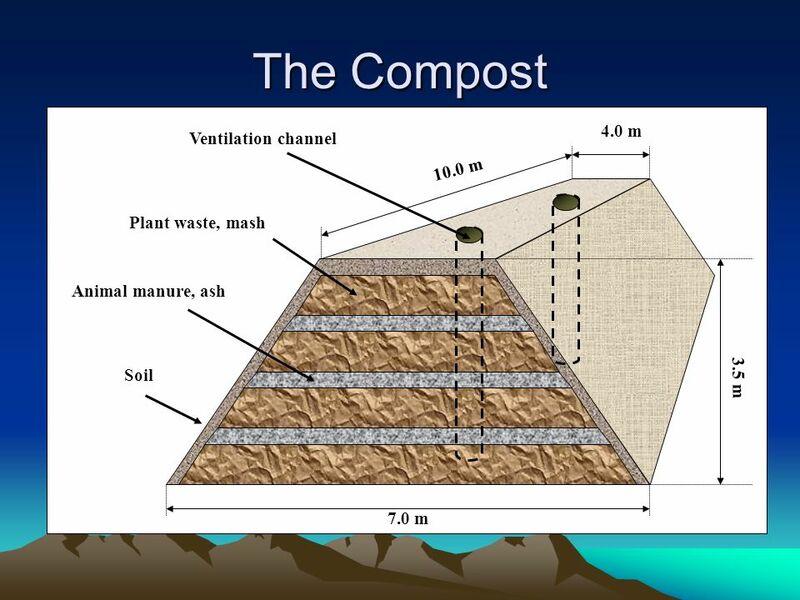 Composting Biology and Core Principals David M. Crohn Department of Soil and Environmental Sciences University of California, Riverside. Energy Cycling. Energy Flow within an Ecosystem Sun Producers Primary Consumer Secondary/Tertiary Consumer Decomposers Heat Chemical Energy Solar Energy. The composting of sewage sludge in Tartu Waterworks Ltd Jüri Haller ESTONIA Head of laboratory Sigulda, of April, 2008.